This short course will introduce participants to the language and foundations of the conversation about race and racism with cross-racial facilitators who will share experiences and strategies for engaging in difficult cross-racial dialogue. Aquilla Frederick, LCSW and Frank Wells, LCSW will offer an opportunity to challenge assumptions and stereotypes, develop increased critical consciousness, and develop a more in-depth way of thinking and talking about these issues. Participants will explore topics of social and racial identity development, the historical context of systemic racism in the U.S., white privilege, and micro-aggressions in multiple social contexts. The course will be both cognitive and experiential, and through a combination of lecture, reflective discussions, videotapes, experiential exercises, and assigned readings, participants will learn important themes, concepts to provoke dialogue, along with an emphasis on personal exploration, and a more profound self-reflection. Aquilla Frederick, MBA, LCSW, is a teaching faculty, the founder and co-director of the Race Talk Project, and team associate with healing Oppressive Legacy, and a participant in the LOS panel at Ackerman Institute. She is published in the field of family therapy and a presenter at national conferences. 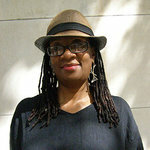 Ms. Frederick is a former associate producer; accounting/financial professional and adjunct faculty for CUNY. She has a private practice in NYC. Frank Wells, LCSW, is a faculty member at the Ackerman Institute; Co-director and trainer for the Talk Race Project at Ackerman; supervisor and senior family therapist at the Freedom Institute outpatient substance treatment program; and maintains a private practice in NYC.